Rayman is a 20 year old franchise and throughout all those years, it never seemed like its getting old. In fact, this year is Rayman’s 20th birthday, so Happy Birthday Rayman! Since 1995, it has garnered so many fans and followers on multiple platforms and to this day it goes stronger and stronger. The first Rayman game that came to mobile was Rayman 2: The Great Escape which was originally released in 1999, but was ported to iOS by Gameloft in 2010. This title was pulled off from the App Store, unfortunately. 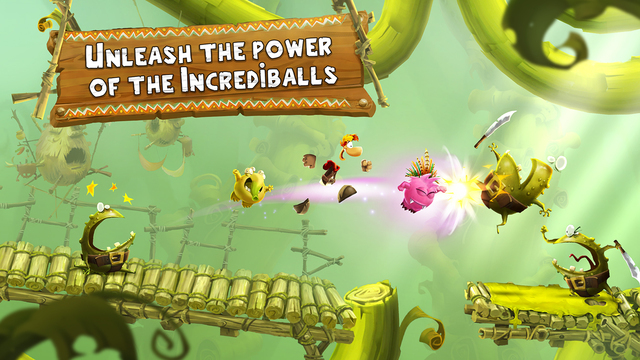 But in 2012, Ubisoft released an even better title, Rayman Jungle Run [$2.99] which was widely loved for its graphics and gameplay. To keep the franchise alive on mobile, Ubisoft released a sequel with the name Rayman Fiesta Run [$2.99]. Of course, back then the mobile platform was in its infancy and console titles like Rayman attracted the attention of all mobile gamers, so the sequel proved to be a needed product and was just as successful as the previous title. And because this year Rayman hits its 20th anniversary, Ubisoft announced in summer their new game, Rayman Adventures [Free], which is currently soft launched in New Zealand. 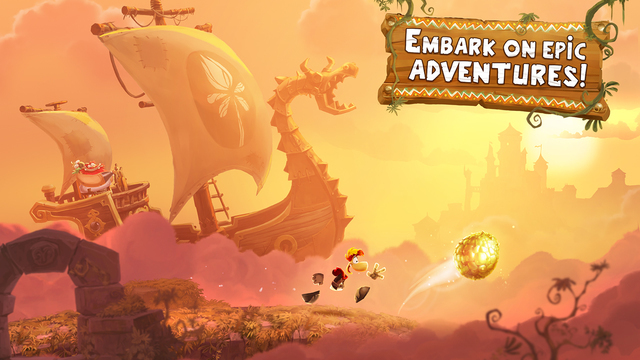 The new Rayman Adventures has improved noticeably in comparison to the previous two instalments. Now you can change your direction as you please while auto-running, which can be best described as a conventional platformer game. But what seems to be the biggest change is the pricing of the game. The soft launched title will be released as a free game with In-App purchases. There are plenty of creatures that can be unlocked, each with its own special abilities. You might be a fan of freemium games and hate premium titles, but freemium comes with a price as well. For example, to unlock a creature, it should be hatched from its egg first and that includes a timer which you have to wait for. Even after hatching, when you play with the creatures, they need to rest as well. So this means you will need to wait even more until the creature is replenished and ready. These timers can be avoided if you use in-game currency which speeds up the process. You might tell yourself, ”Well, problem solved. I will not buy any creatures.” Aha! 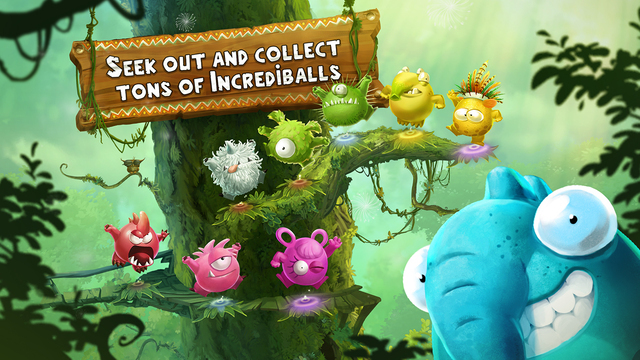 But here is the catch, some levels require you to use specific creatures in order to play them, so you will have to. As we have said, freemium titles come at a price as well, and in this case, it’s at the expense of your time. Nevertheless, it would be a pleasure to play Rayman Adventures because, honestly, it is a fun experience and we played it plenty. The colorful and complex levels take you from medieval castles to mythical worlds such as Olympus. 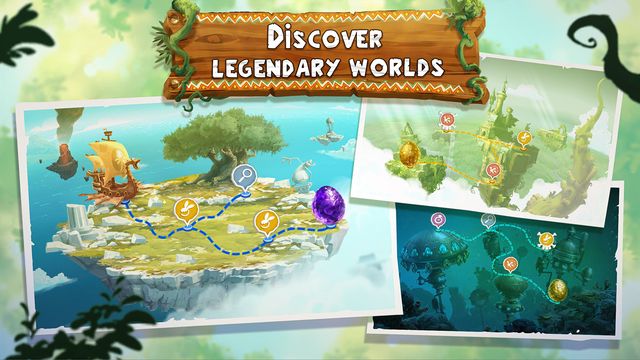 With a plethora of areas to venture to and many mysteries to unlock, Rayman Adventures easily passes as a top-notch experience. Finally, the controls are very touchscreen focused and brings back the feel of the conventional platformer experience that makes you want to play again and again. You can expect a worldwide release for Rayman Adventures on December 3rd for iOS devices, and is also expected for Android also. So let us all download it when it’s released as a good gesture in honor of Rayman’s 20th birthday! You can check the reveal trailer for this game below. ← Dark Star: Winners Of The 5 Free Copies Of The Game Announced!